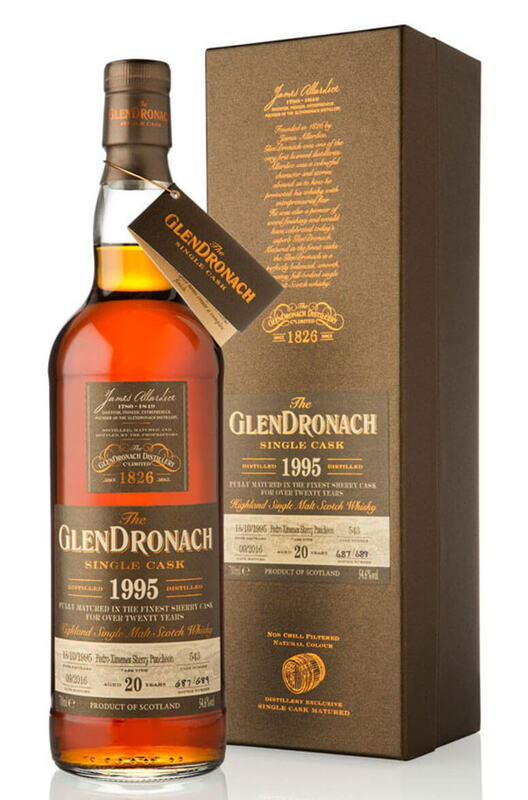 A fantastic single cask Glendronach that was aged in a single Pedro Ximenez Puncheon. Part of the 14th batch of special releases from Glendronach. Aromas (with water) An exceptional balance of sweet chocolate, toffee and toasted oak spice combine perfectly with dates, ripe pear and a dusting of barley and vanilla. Flavour Stewed plum compote and orchard apples caramelised in dark muscovado sugar. A citrus twist and aged-oak spice notes create a complex finish. Types of Barrel used for Aging A single Pedro Ximenez Puncheon.